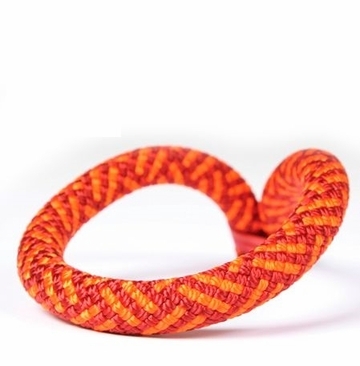 The Edelweiss Magnetic 11mm is an extreme power-hound for a single-rope. At 11mm in diameter and with a UIAA fall rating of 14, the Magnetic delivers reliable safety to the climber and the equipment. Its burliness is deceiving as it performs with an extremely low impact force for its diameter. The Magnetic comes standard with the Supereverdry treatment that is polymerized onto the sheath and core fibers, making it the most durable dry treatment in the world.